Download Aflac Cancer Screening Wellness Benefit Claim Form. 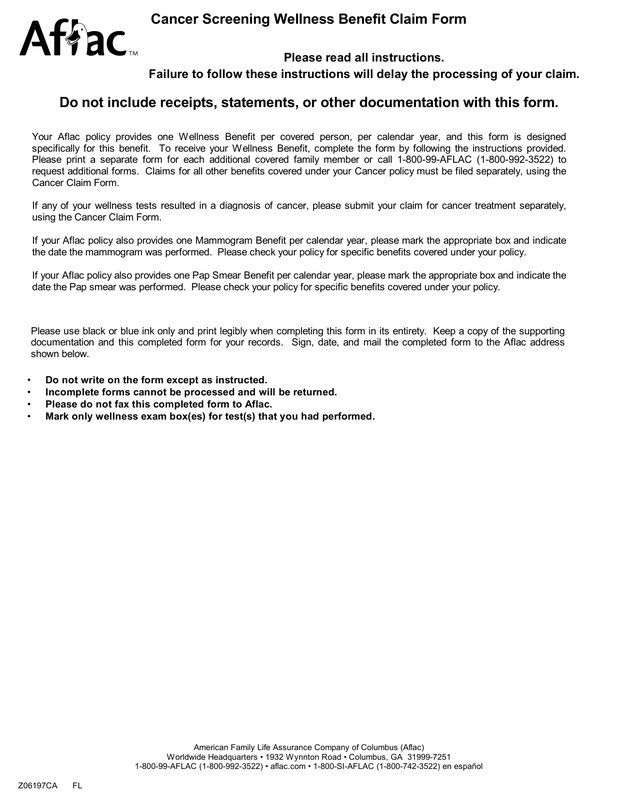 This form is designed to provide an annual cancer screening (after the first 12 months of insurance), for those who have the Cancer Screening Benefit. Aflac also provides pap smear and mammogram benefits once per year. 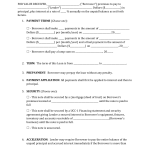 Use only blue or black ink while completing this entire form. 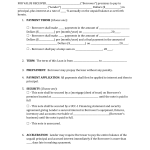 Read all information on the cover of this form – Any information will result in processing delays. Read – Any person who knowingly and with intent to injure, defraud, or deceive any insurer files a statement of claim or an application containing any false, incomplete, or misleading information is guilty of a felony of the third degree.